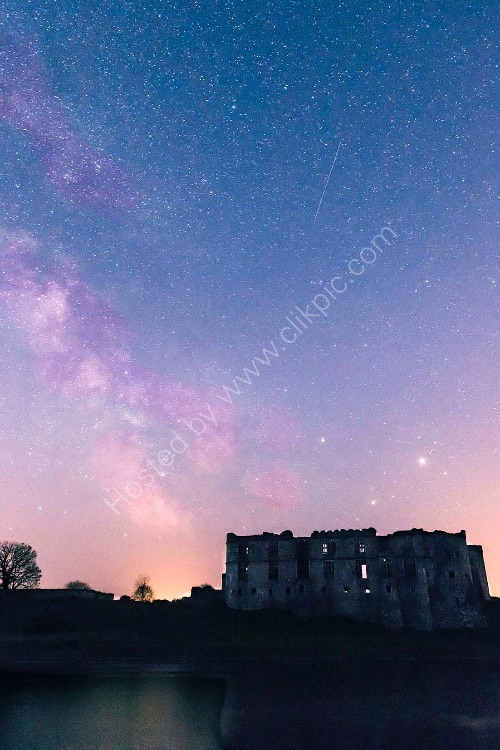 I've had a desire to get some milky way shots for a while, and have been looking for suitably subjects to make an interesting foreground, and Carew Castle in Pembrokeshire seemed to fit the bill. Getting this shot involved a lot of planning in working out where the milky way would be, at what time, and in how to get an acceptable shot of it. Whilst there making the images, i was paid a visit by the police who must have wondered what a strange person with a head torch was doing there at 3.00am. Once I'd convinced them that I wasn't a terrorist about to perform a dastardly attack on the heritage of Wales, they went on their way, shaking their heads!